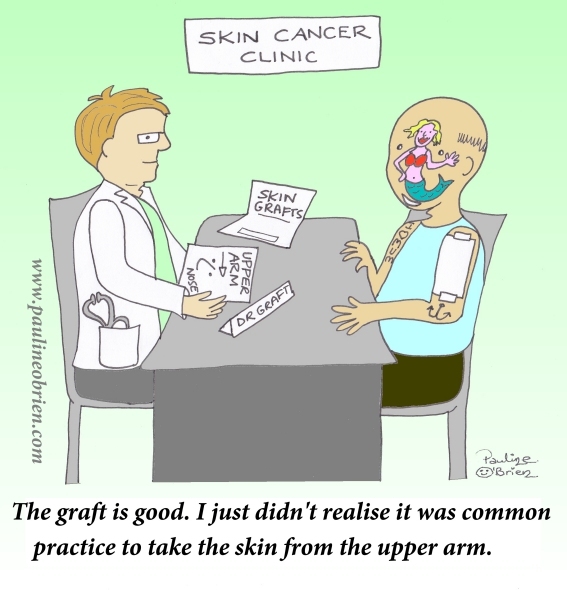 My Dad had to have a skin graft but the doctors never told him where they were going to take the skin from before the operation. He needed a few skin grafts and I began to think what if he was heavily tattooed? Australians all let us rejoice.